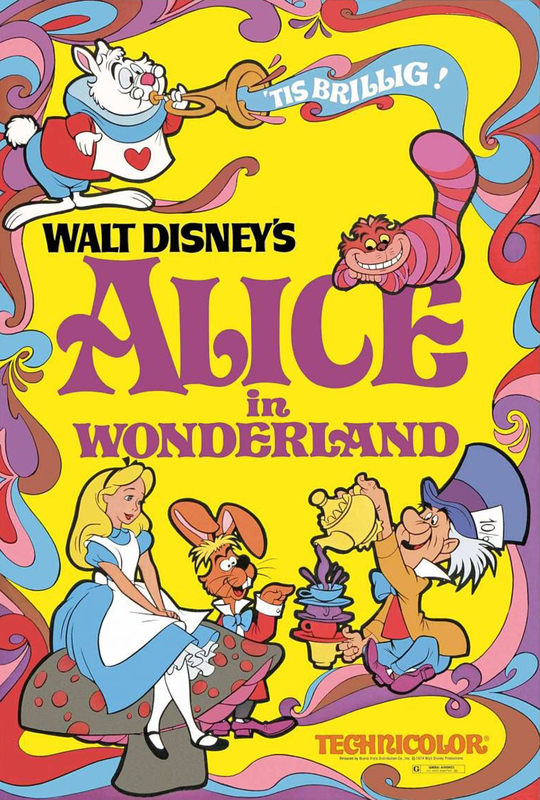 Disney’s film Alice in Wonderland (1951) will kick off the Ransom Center’s Young Adventurers Film Series this Saturday at 3 p.m. Other films in the series include James and the Giant Peach (1996) on June 13, Coraline (2009) on June 20, and Where the Wild Things Are (2009) on June 27. Head of Paper Conservation Heather Hamilton treats an animated scroll for a 2014 exhibition on “Alice in Wonderland.” Photo by Alicia Dietrich. Library Assistant Emilio Banda pulls a film poster from “Heat” in the Robert De Niro collection. Photo by Alicia Dietrich. Preparator Wyndell Faulk cuts mat board to frame materials in the upcoming exhibition “Contemporary Photographic Practice and the Archive,” which opens June 11. Photo by Alicia Dietrich. 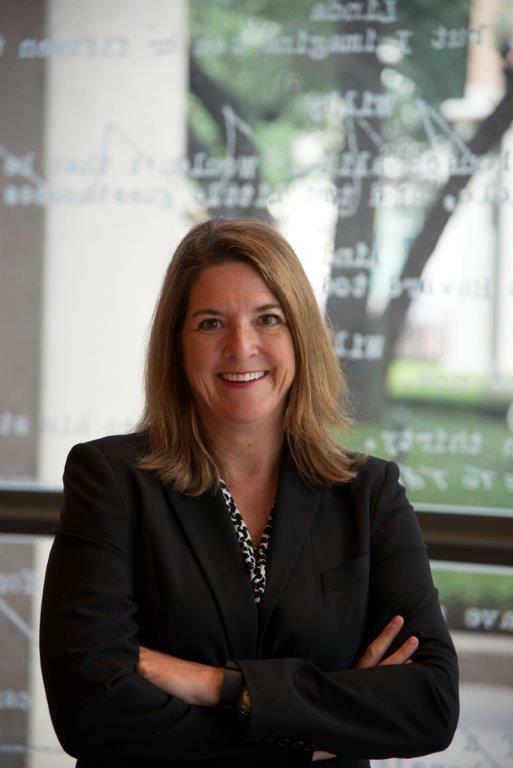 Sarah Sussman is a graduate student in the English Department at The University of Texas at Austin. Though currently writing about nineteenth-century American Spiritualism, she is interested in Surrealist art, children’s literature, and British literature as well. Lewis Carroll’s 1865 novel that stretches the imagination and playfully defies logic has been adapted by a number of artists throughout the years, but perhaps none have been so well-suited to put their own spin on the English author’s topsy-turvy adventure as Salvador Dalí. 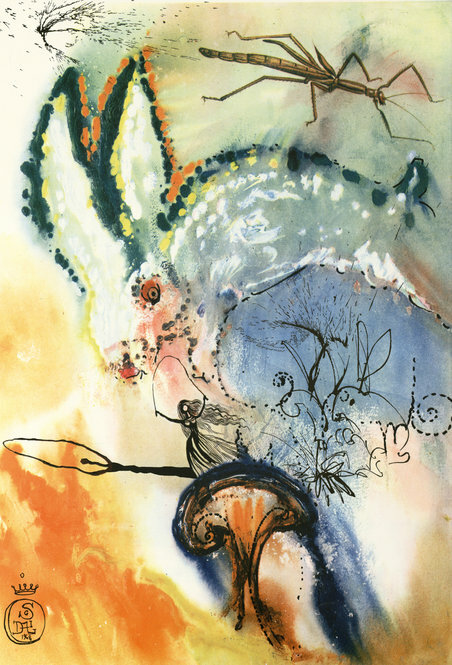 The surrealist artist’s galas might have rivaled the Mad Hatter’s tea parties, and his paradoxical identification of himself as a sane madman would have put him at home as one of Carroll’s whimsical characters. Dalí’s illustrations for the novel come more than 100 years after its original printing with John Tenniel’s images. 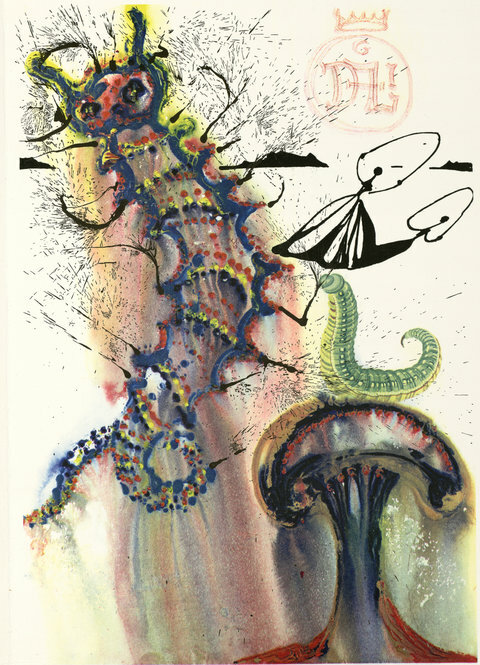 Although many will be familiar with Tenniel (a number of his images can be seen reproduced today on all sorts of Alice ephemera), the Dalí prints are far less common. Viewers will be struck by the artist’s intensely vivid, color-saturated heliogravure with woodblock prints. 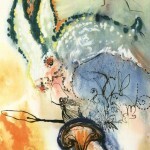 They offer a new way to read Alice’s Adventures, from a twentieth-century perspective only Dalí could provide—from an outlandishly sized, wide-eyed, dashing white rabbit, to dripping fluorescent mushrooms, to larger-than-life butterflies and, yes, even one of the artist’s signature melting clocks. It seems especially fitting that this portfolio is at The University of Texas at Austin, because Dali’s edition is highlighted entirely in burnt orange, from the portfolio’s burnt orange box, to its burnt orange typographical accents, to its featured frontispiece of Alice, looming large in frenetically etched orange lines, carrying a jump rope or a hoop against a cloud-scudded sky. 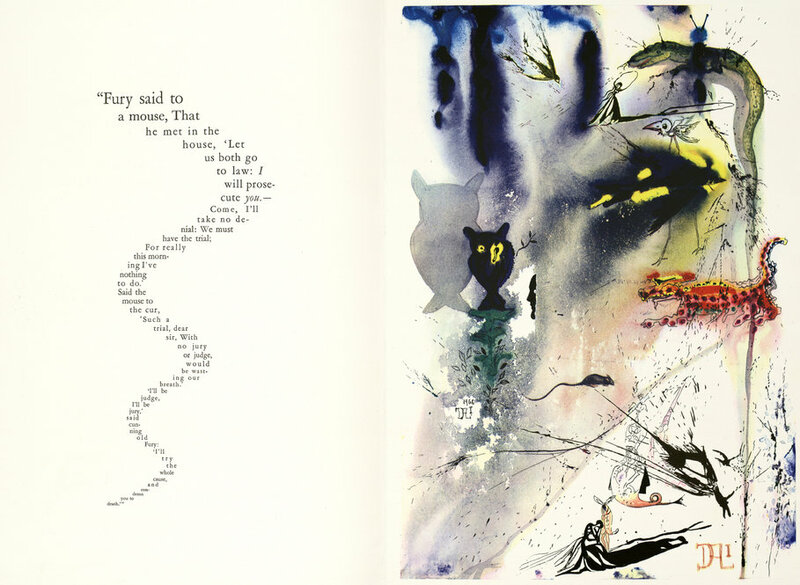 Published in New York by Maecenas Press–Random House in 1969, the portfolio-style book features 12 prints to correspond with each chapter of Carroll’s book and an original signed etching as the frontispiece. 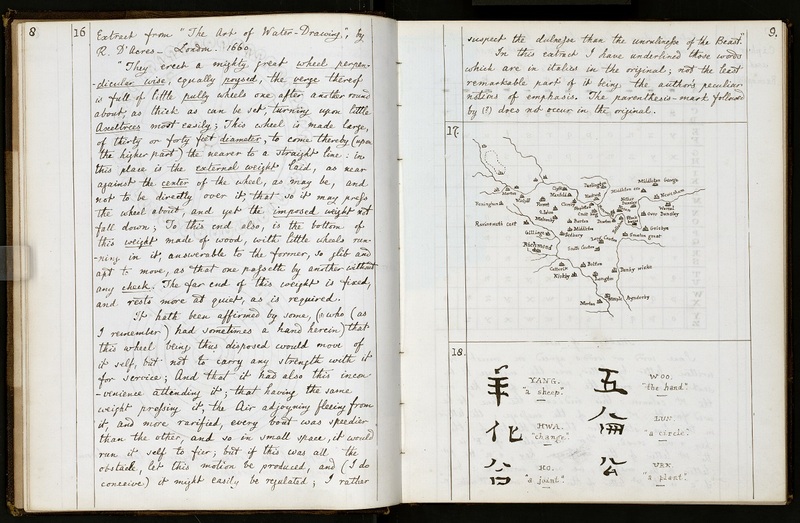 The Ransom Center’s copy is signed and one of 2,500 portfolios. Dalí’s rendition is a well-paired match for Carroll’s adventure and a lively part of the Ransom Center’s holdings. 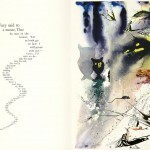 “The Mouse’s Tale.” © Salvador Dalí, Fundació Gala-Salvador Dalí / Artists Rights Society (ARS), New York, 2012. 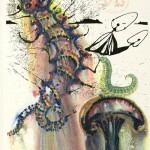 “Down the Rabbit Hole.” © Salvador Dalí, Fundació Gala-Salvador Dalí / Artists Rights Society (ARS), New York, 2012. “Advice From a Caterpillar.” © Salvador Dalí, Fundació Gala-Salvador Dalí / Artists Rights Society (ARS), New York, 2012.